Girteka Logistics may be Lithuania's best-kept secret, at least inside its home country. By far the biggest transportation company in Europe, it aspires to lead the way in management culture, corporate transparency and growth. The European Business Network, during their most recent monthly meeting, was let in on the secret success of the company. It is 8:45 AM at Girteka's office in Vilnius. Dozens of desks arranged in regular rows fill up the spacious white-walled room splattered with motivational statements in large type. Suddenly, all the employees stop what they are doing, stand up from their computers and cluster in small groups, each one around a column with a flipchart. This is called Asaichi, daily meetings where teams of employees discuss everyday processes and bring up all the problems they have encountered, from serious and in need of concerted action to insignificant and some already resolved. 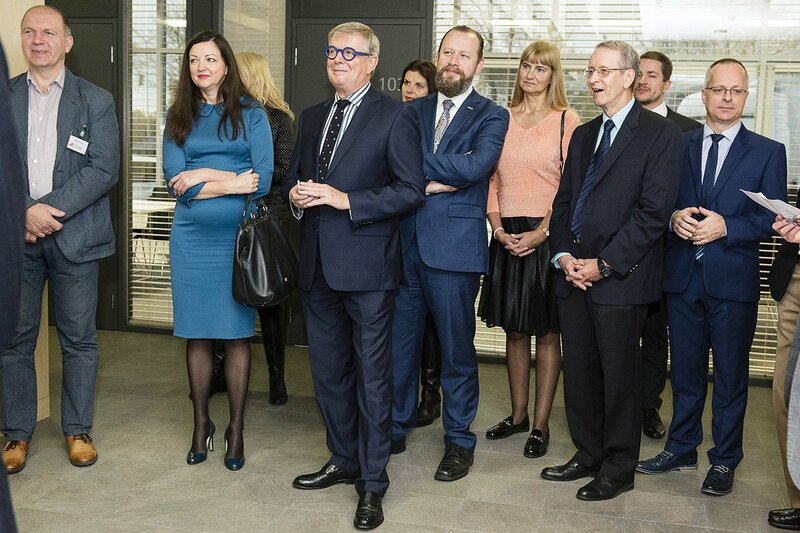 Girteka's CEO Edvardas Liachovičius and Chief Communications Officer Kristian Kaas Mortensen welcomed members of the European Business Network (EBN) on an early October morning and were eager to show off one of the tools that helps the company stay on top of its game. Asaichi meetings, which happen each morning at a quarter to nine sharp, come rain or come shine, is part of LEAN, a management methodology developed at Toyota in Japan and introduced in the Lithuanian company three years ago by Darius Kriukas, Girteka's director for efficiency. "LEAN is about changing your mindset. It's a culture," he explains. "It makes impossible to hide your problems by making them visible." It is not only LEAN that can explain Girteka's spectacular success. Started in 1996 with one truck and three employees, it has since grown into by far the biggest logistics company in Europe. It now boasts a fleet of 4,000 trucks, operated by 7,000 truck drivers, and services clients, which include big-shots like Ikea and Amazon, throughout Scandinavia, Europe and the CIS countries. Girteka's turnover grew by 25% so far this year – it is "organic growth", Mr. Mortensen is quick to note – and projects a swooping 30% growth next year. Ironically, this 100% Lithuanian-owned company, a star in the European transportation market, is relatively-little known in its home country. "When people on Gedimino Prospektas ask me what I do and I say I work for Girteka, they go, 'What? '," Mr. Mortensen, the company's Danish chief communications officer, says. "But when you come to Europe, to Germany, to the biggest companies, they say 'Wow! You work for Girteka? How did you manage to get that job?'." And it is understandable – Girteka Logistics conducts most of its business outside the country and deals with other businesses rather than consumers. However, fostering a good image among the society at large is essential, Mr. Mortensen explains, because "all those trucks with our proud name are everywhere on the roads and it is unrealistic to expect that 7,000 of our fantastic drivers will never have a problem". One of the things he insists on is absolute transparency, be it about the company's finances, its communication with the media, or client relations ("Being audited by clients is awesome. It's free consulting."). Keeping employees happy is another important aspect. For the launch of its mission statement, it is organizing a concert and a party, while photos of employees illustrate the company's annual reports. "At Girteka, everyone's a star." 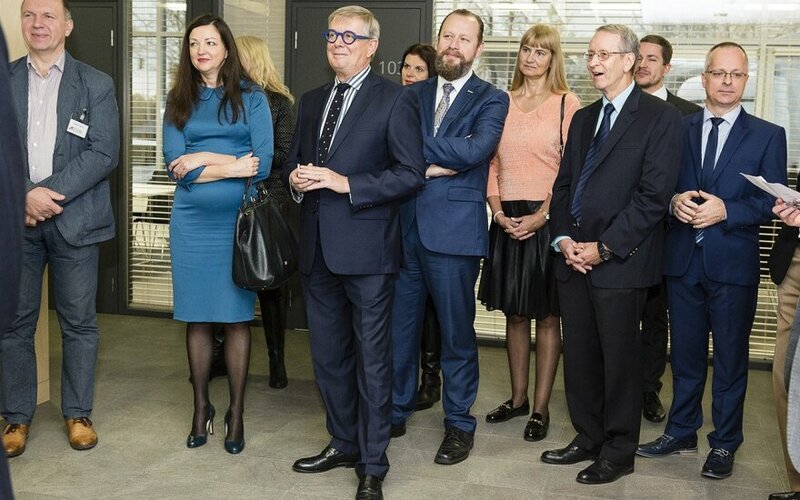 The tour at Girteka Logistics headquarters was organized by the European Business Network, EBN, as part of the monthly business breakfast series.